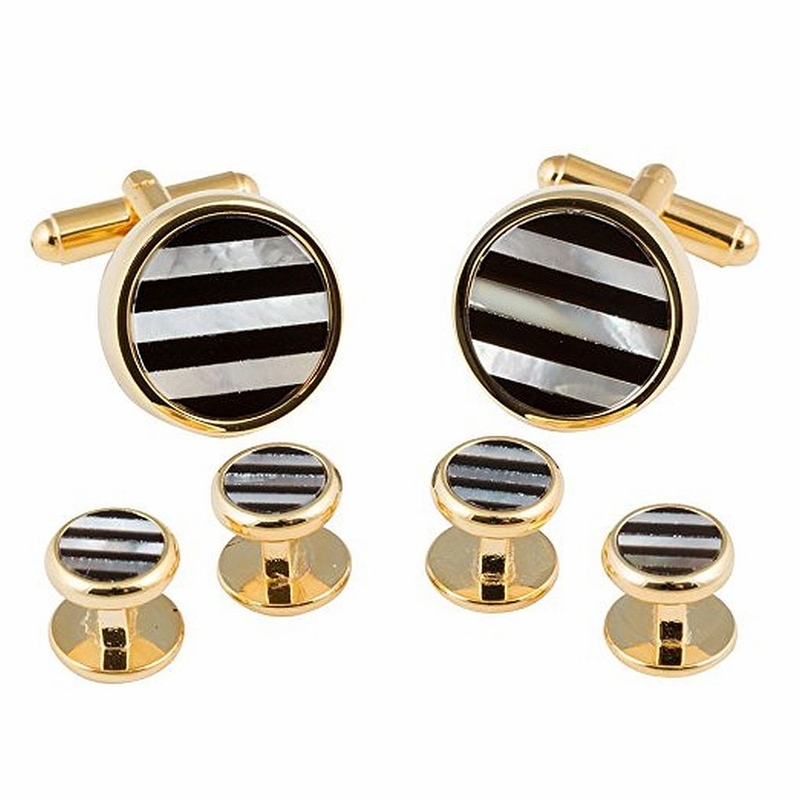 Striped Onyx Mother of Pearl Tuxedo Cufflink Studs pair mother of pearl and genuine onyx to create a stunning fashion statement in a goldtone setting. These cufflinks and studs alternate white mother of pearl and dark genuine onyx to present a dignified appearance for anyone looking to impress at the next formal social event. Give the set of cufflinks and studs to every member of the wedding party to commemorate your special day. PLEASE NOTE: studs feature vertical post between front and back to ensure the stripes on the studs are always going from left to right (i.e., parallel with the floor).